I didn’t stop then: when I was 22—a month before I stopped drinking forever—I tried to run into traffic in New York City after breaking up with my ex-boyfriend. All three of these times, when I made the decision to jeopardize my own existence, I truly wanted to die. In those moments, I believed that whatever I was going through—coming to terms with my sexuality, breakups, fights with friends, bad decisions—was worth ending my life. Today, as I am in a place where I am focused on my mental health and self-care, looking back on those moments breaks my heart. I am so grateful that I did not succeed. In retrospect, the fact that I went to such extremes to end my life isn’t shocking when I consider the sustained harm I inflicted on my body through years of fasting, binging and purging, and years of binge drinking and drug abuse. As someone who struggles with depression, anxiety, and addiction, it took me over 20 years to learn to value myself, both physically and emotionally; it took me over 20 years to convince myself I deserved to live. And getting to that point was not easy or simple. It didn’t happen from a single change—in medication, in therapy, in my support system, or by cutting alcohol out of my life. Self-love and self-acceptance, rather, came from the combination of all of those positive forces. It came from looking inside myself and seeing how I was suffering and admitting it. It came from saying aloud that I needed help, and then actually allowing myself to get help. That help came in many forms: from therapists, from doctors, from my family, from my friends, and also, from myself. When I made the decision to stop drinking, and made the commitment to myself to live, I knew it wasn’t going to be a short journey. And it wasn’t. It’s a journey that’s still happening now—a journey that may continue forever. I know that I struggle with chronic depression and have suffered from addiction. I now live consciously, always paying attention to my mental health. I know that using substances recreationally can never again be a part of my life, and I know that therapy and antidepressants may forever more be a part of my life. There are still days when I feel depressed and anxious, and there are days where I feel a sense of hopelessness. The difference now is that I know I don’t have to suffer alone. I have plans for when I feel that way, and the first step with all of those plans involves expressing how I’m feeling aloud to a therapist, a family member, or a friend. 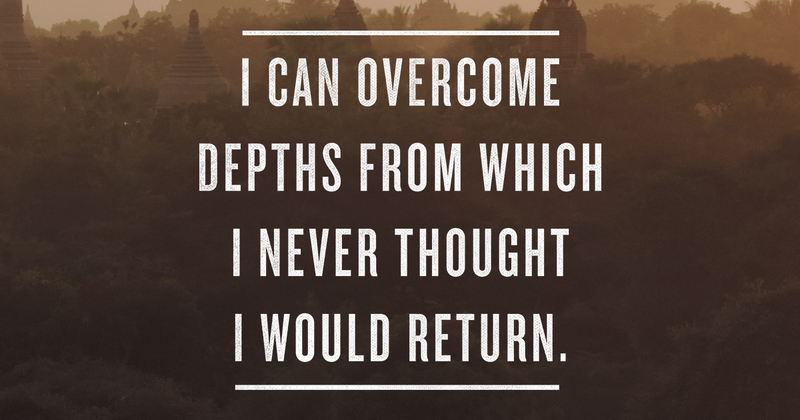 I now take solace in knowing that I can overcome depths from which I never thought I would return. And remembering that I am worthy of life, and so are you. Seamus is the author of Shitfaced: Musings of a Former Drunk. You can follow him on Twitter and Facebook. LUDIMILA, thank you for voicing part your story in this comment stream, for stating that you attempted to end your human life on May 17 2018. It gives me the opportunity to let you know that this stranger, probably from continents or countries away, sends you love. I hope you can continue to use your voice to tell more of your story to those around you, or if not, to others or a therapist who can support you. Ludimila. One thing I learned during years of feeling just like that is that it DOES get better. It doesn’t feel like it at the time. It feels like you will spend the rest of your life battling it. But surprise…I barely remember what that felt like now…some forty years later…and most of these past forty years have been lived without that cloud over my head. You can do it! We are so sorry for the pain you are facing. We are sorry you are not feeling heard, we want you to know we see you and we hear you. We are so grateful that you are still here. Your story is important and worth fighting for. If you need someone to talk to right now, we list helplines here: https://twloha.com/find-help/local-resources/. If you ever want to share more of your story with us you can email our team at info@twloha.com, we would love to send you some encouragement. We believe in you. We believe in better tomorrows, please keep fighting to stay and see them. I feel that way too Seamus. I suffered serious major depression and anxiety in my twenties, and in therapy thought a lot about what I would do if they were never a part of my life again. I did overcome most of it, but after forty more years understand that I have to be vigilant, and my mental health is something I pay attention to and use my tools to keep healthy. Great post.